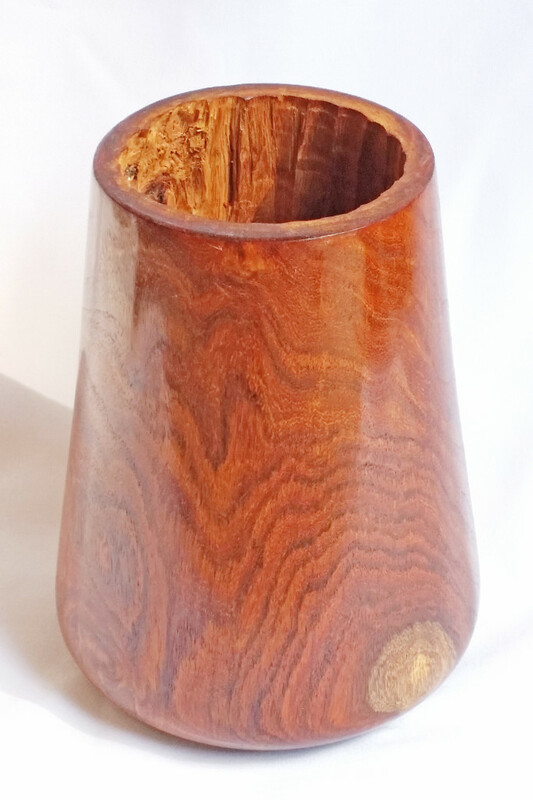 This is an amazing piece of Sheesham (Dalbergia Sissoo) with its tiger stripe type figure and small patches of sapwood on either side for effect. 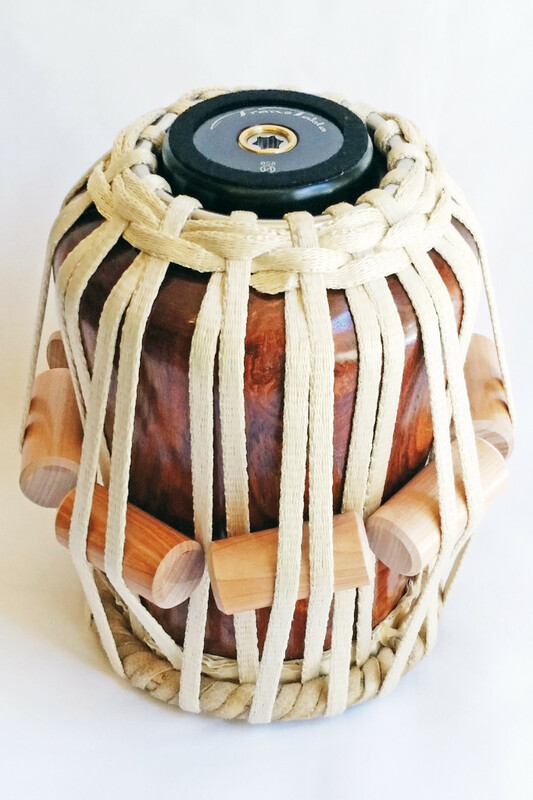 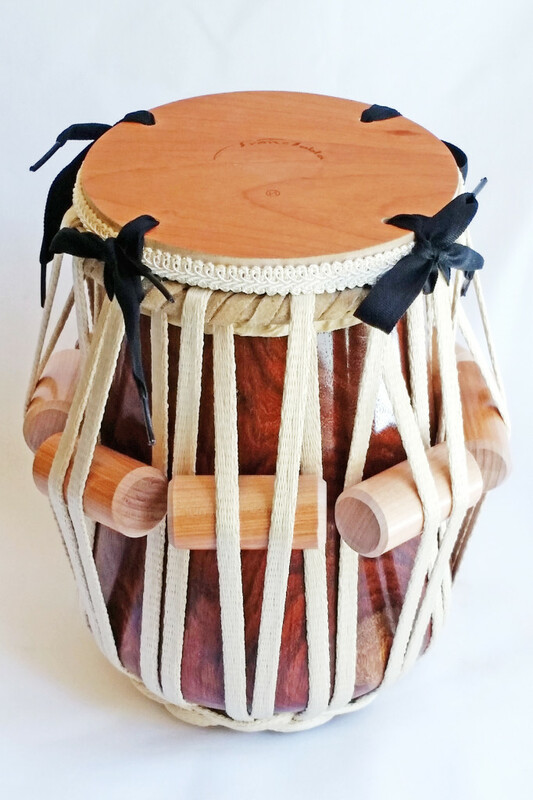 This is a smaller diameter Tabla, perfect for high pitch requirements or for someone with smaller size hands. 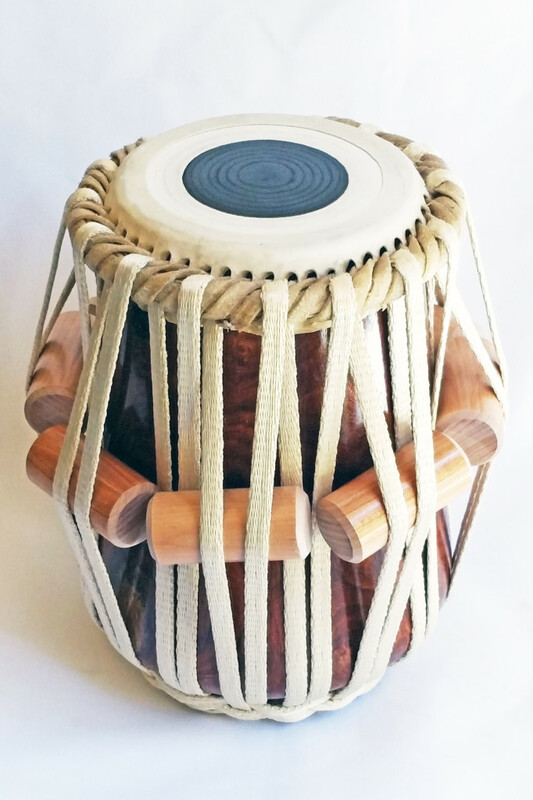 Topped with a Bombay style head and boasting a great range of C to E. Detailed bits include custom Birchwood blocks and a laced Red Oak cover.